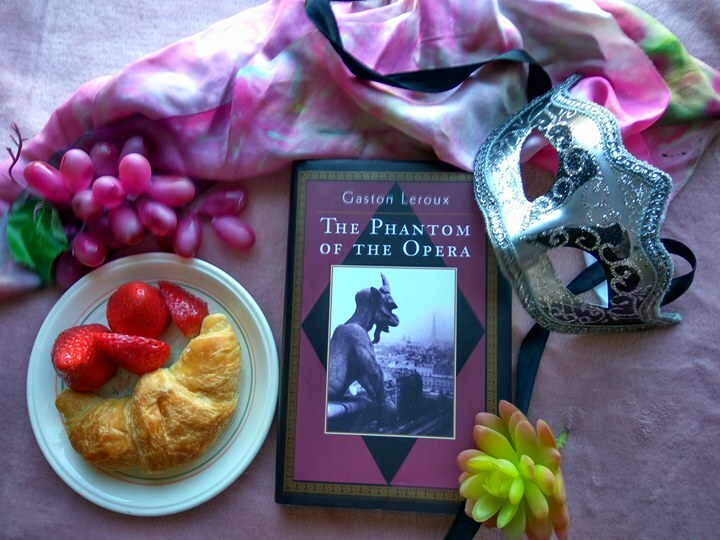 The Phantom of the Opera is a riveting story that revolves around the young, Swedish Christine Daaé. Her father, a famous musician, dies, and she is raised in the Paris Opera House with his dying promise of a protective angel of music to guide her. After a time at the opera house, she begins hearing a voice, who eventually teaches her how to sing beautifully. All goes well until Christine's childhood friend Raoul comes to visit his parents, who are patrons of the opera, and he sees Christine when she begins successfully singing on the stage. This is my choice for a classic in translation, in the 2017 Back to the Classics Challenge.. It's a famous French story set mostly within the walls of the Paris Opera House. I'd never come across the original version, or Gaston Leroux, until I picked this up at a second hand shop. To be honest, if anyone had asked me who wrote Phantom of the Opera, I would have guessed Andrew Lloyd Webber. So it was very interesting to read about the charismatic French author in the foreword. Did I like his story though? Hmmm, well, it started off promising but went downhill quickly. Basically, it was written as a supernatural thriller. A ghost is rumoured to haunt the Opera House. The chief scene shifter, who claims to have seen him, is found hanging dead from the rafters. And rumours that the ghost looks hideous are circulating. The theatre's ex-managers have resigned because they're spooked, but their replacements aren't warned what to expect until the night of the swap-over. They treat the haunting like a big joke, at least to begin with. It turns out to be a bossy, tyrannical type of ghost who wants to run the whole show. When people ignore his demands, he makes sure something terrible happens. He wants a specific theatre box permanently reserved just for himself, and a regular sum of cash left for him in an envelope. Why would a ghost need money? You may well ask. All of his aggressive notes are signed O.G. for Opera Ghost. His biggest agenda seems to be to advance the career of a young singer named Christine Daae, who believes he's the Angel of Music. While still alive, her deceased father promised to send him to her, a bit like a muse. At first, Christine laps up the ghost's personal attention and dreads the thought of ever losing it, but she comes to learn the spine-chilling cost of being his favourite. Especially since he's the jealous type and she's fallen in love with an old friend from her childhood; a young man named Raoul. The sinister theme is the best thing the story has going for it. An innocent person is seduced by somebody who initially comes across like an angel, but when they find out he's the opposite, it seems too late to escape the fix they're in. How easily a well-meaning person like Christine can open themselves up to disaster and calamity, when they welcome with open arms something bad, because they believe it's good. Although I appreciated this, I was still getting tired of the novel toward the end. Raoul and the phantom come across like temperamental twins to me, yet Raoul's lucky enough to be the better looking of the two. In fact, since the phantom has the whole tragic, 'I just want someone to love me for myself' thing going, a bit like Frankenstein's monster, some may even think that gives him a bit of an edge. (But come on dude, do you think being ugly is really a reasonable excuse for killing innocent people who have never hurt you?) Christine could have done very well without either of them. They're a pair of male drama queens and prima donnas, but since it's set in the opera house, I guess that makes sense. Although this has nothing to do with the actual story, the blurb on my dust jacket was a great disappointment, because it gave a major plot spoiler, revealing the ghost's identity! Whoever wrote it must have assumed we're all familiar with the story by now, but I'd never seen it on stage, and if I'd seen the movie, my memory was sketchy. I can overlook honest spoiler mistakes from reviewers like myself, but coming from a professional blurb writer, it's a bit hard to swallow. I would've preferred to see the stage version than read this book. I'm even humming 'The Music of the Night' as I type. Some of the unfolding explanations for the plot events seem way over-the-top and melodramatic to take seriously in a novel, yet they'd work if we've paid money to be thrilled with stunning stage effects and brilliant music. I noticed Leroux wrote other books too, with titles such as 'The Perfume of the Lady in Black' and 'The Man who came back from the Dead.' Based on this one, I'm happy to give them a miss. I read somewhere that even Andrew Lloyd Webber thought this novel a promising story, with a terrible execution. I often like to add a good quote or two from whichever book I'm reviewing. Okay, this one made me grin. 'They felt the sort of dismay which men would have felt if they had witnessed the catastrophe that broke the arms of the Venus de Milo.' An extravagant, arty quote from an extravagant, arty book. I think I'll send it back to the goodwill shop where it came from. Hi Becky, I'm afraid the rumours were true 😋 It was a bit of a face palmer. You're well warned. I only recently learned there was a novel behind the much more famous musical. I wonder if the same thing will happen to Les Mis? But back to Phantom...I won't get to it for a while, but I am definitely looking forward to reading the novel. Nice review. Hi Joseph, it is quite interesting in a historical context. I'll be interested to see what you think of it.